To identify CT findings in chronic hypersensitivity pneumonitis (cHP) associated with survival. 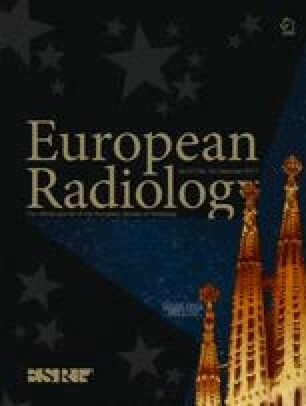 Two thoracic radiologists assessed CT scans for specific imaging findings and patterns in 132 subjects with cHP. Survival analyses were performed. The majority of subjects had an inconsistent with usual interstitial pneumonitis pattern on CT (55.3%,73/132). Hypersensitivity pneumonitis (HP) diagnosis on CT was less common in those with fibrosis (66.1%, 74/112) than those without fibrosis (85%,17/20). Smoking was associated with a lower prevalence of HP on CT (p=0.04). CT features of pulmonary fibrosis, especially traction bronchiectasis (HR 8.34, 95% CI 1.98–35.21) and increased pulmonary artery (PA)/aorta ratio (HR 2.49, 95% CI 1.27–4.89) were associated with worse survival, while ground-glass opacity (HR 0.31, 95% CI 0.12–0.79) was associated with improved survival. Survival association with imaging was less pronounced after adjustment for gender, age and physiology score. A substantial proportion of cHP cases have a non-HP-like appearance. Ground-glass opacity, pulmonary fibrosis features and elevated PA/aorta ratio on CT likely reflect varying degrees of disease severity in cHP and may inform future clinical prediction models. • A substantial proportion of subjects with chronic HP have a UIP-like pattern. • A UIP pattern in HP may be potentiated by smoking. • A diagnosis of HP should not be excluded based solely on CT appearance. • CT fibrosis and increased PA/aorta ratio signal worse survival. The scientific guarantor of this publication is Jonathan H. Chung, MD.